Lanigan Clarke Solicitors act for a number of Irish Insurers defending Private Motor, Product Liability, Public Liability and Commercial Claims and advising on issues of Policy Interpretation and Indemnity. 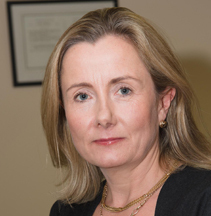 Jane Lanigan has 20 years of experience in this area of law and has a reputation for prompt, practical advice on indemnity, liability, quantum and tactics . We aim to work towards a quick resolution of valid claims where liability is uncontested and to thoroughly investigate and prepare contested cases for court at the earliest appropriate opportunity. Jane has particular expertise in technical insurance law and has been involved in cases setting precedents in this area. She has represented both insurers and policyholders in arbitrations and is experienced in dealing with high value claims and suspicious/potentially fraudulent claims. We attend court in Dublin and Donegal and Sligo and are available to travel to these venues for trials and settlement negotiations. We understand the requirement of Insurers regarding reporting and reviewing claims and are fully compliant with The Data Protection Acts and Consumer Protection Codes. We are in a position to choose and instruct the most suitable Independent Expert witnesses for each case. For advice relating to insurance in Ireland, contact Jane Lanigan in our Dublin or Letterkenny Office on 0749129110 or via the contact form below.